If an art print today is to be preserved for decades, it is important that the paper and pigment used are of the best archival quality. All of Elise Stalder`s art prints are printed using the Giclée process, with pigment inks and archival quality art paper. The paper is acid-free and made of 100% cotton rag fiber. The combination of Epson UltraChrome professional archival inks and cotton art paper provides long-lasting prints with minimal fading and graceful aging. The art print can therefore last for many years if properly cared for. Framing is important for art work that is desired to last long term. It prevents art from stains and gives the artwork a more stable environment. It is important to use acid-free materials for framing to prevent discoloration of the art print. For example, not using an acid-free passepartout (matt/mount) and tape when framing could yellow the artwork. The basic materials required are available at many art supply or craft supply stores. For framing, we use a passepartout. The passepartout is meant to protect and preserve as well as to decorate and enhance the appearance of the artwork. It provides space between the artwork and the glass for air circulation and room for expansion of the paper. Artwork properly suspended in a passepartout has room for these movements. 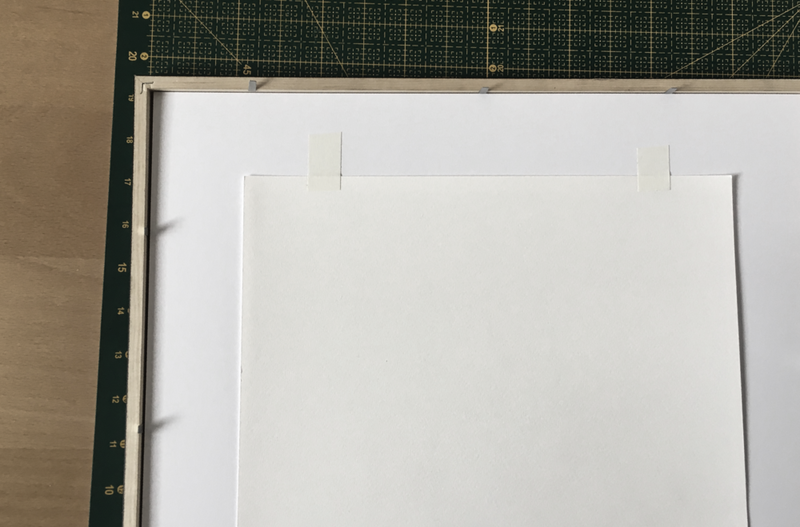 The Art Print should only be attached by tape on the top edge on the passepartout, with the other 3 edges left to move naturally. It is also possible to frame images without a passpartout. A small spacer can be used to raise the glass so it does not touch the artwork. Contact a professional framer for more information. Touching the art print with your bare hands. It is best to use cotton gloves when handling the art print. Placing the artwork in an environment with high humidity (e.g. bathroom).